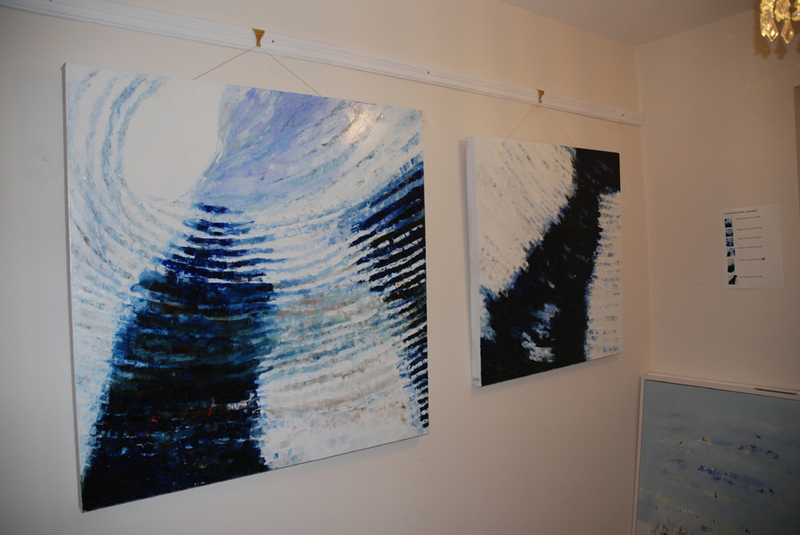 The hall has been rearranged to showcase the new shell series, the light is much better than the garage and highlights the details of the individual palette knife strokes. 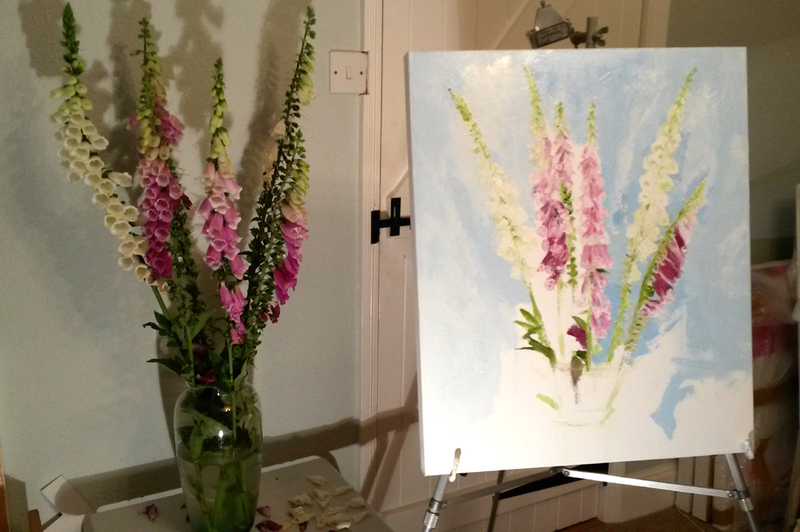 The garden is a sea of fox gloves and inspired a canvas during the open studios. It is always much easier to have work in progress for people to appreciate the way you work. 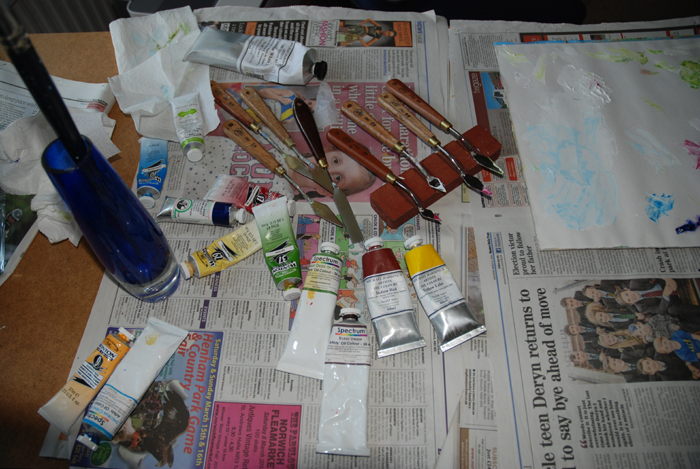 Palette knives of various sizes and angles are the mark making tool of choice all the time now. The progress photos show the starting points: the background and basic outline. Second stage is working just with the white paint and greens. The third stage is working with the crimson and pinky colours. 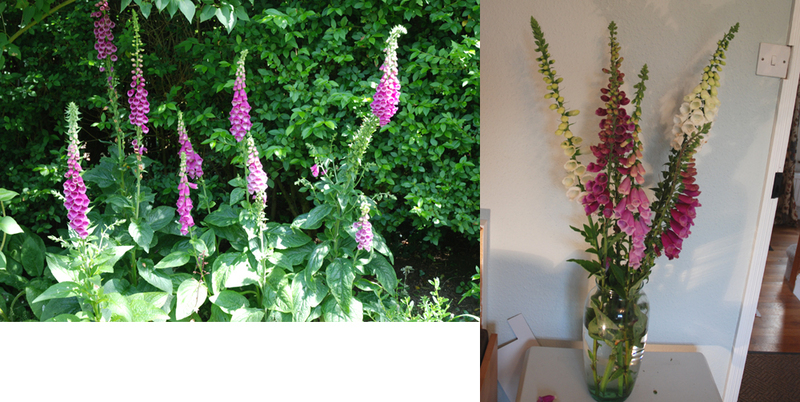 I will continue working on the fox gloves painting and upload the final image in the near future. There is only a couple more days to pop in to open studios, 11am – 5pm. Looking forward to meeting whoever makes it along. All the details are on my website.